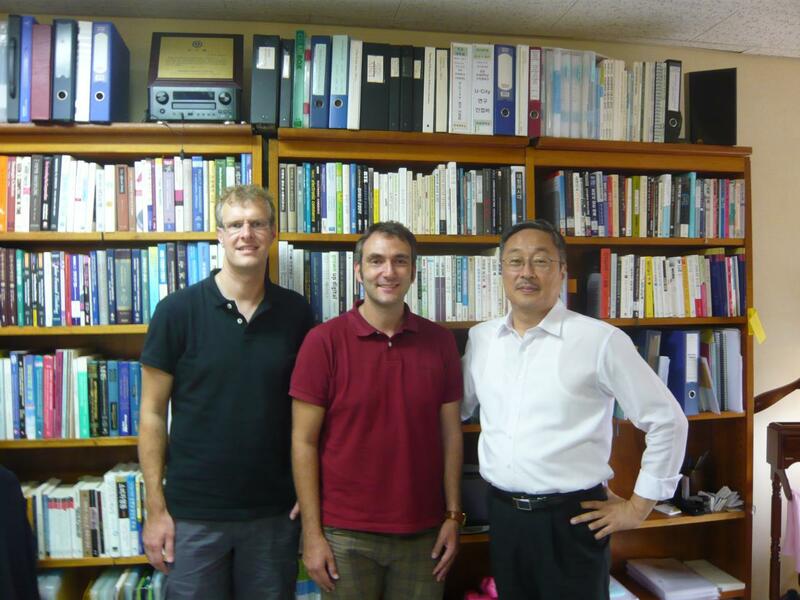 On August 2nd 2014, Armin Stein and Daniel Beverungen were invited to Yonsei University in Seoul for meeting Prof. Jungwoo Lee. Yonsei University, located right in the center of Seoul, is considered to be one of the top universities and is the first private university in Korea. Yonsei's Gradutate School of Information has the highest foreign student enrollment in Korea and is one of the leading departments in this area. Prof. Lee focuses on Information Systems research on smart work that is enabled by information technology as well as on local government services. Based on his research profile, we identified researchers in the ERCIS network for starting joint research initiatives, such as an intercultural comparison of e-Government activities in Germany and Korea, which is a field of inquiry that we are already investigating with our partners in Australia and New Zealand. At the end of August 2014, Prof. Lee will spend some days in Muenster for following up on these first results. We are looking forward to his visit.